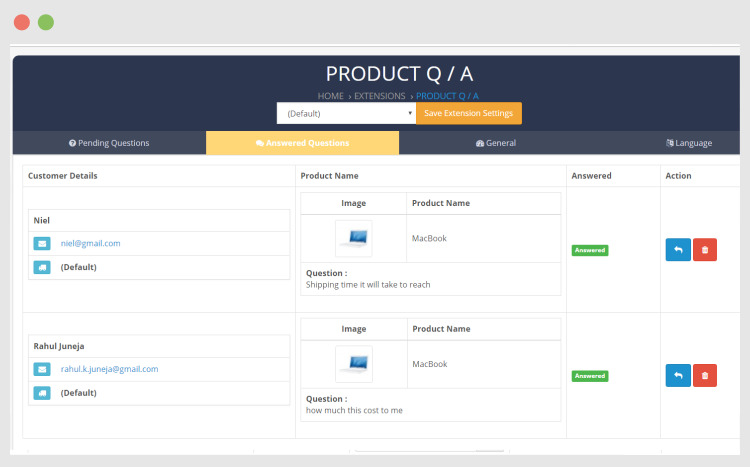 This extension allows customers to ask questions regarding the products. 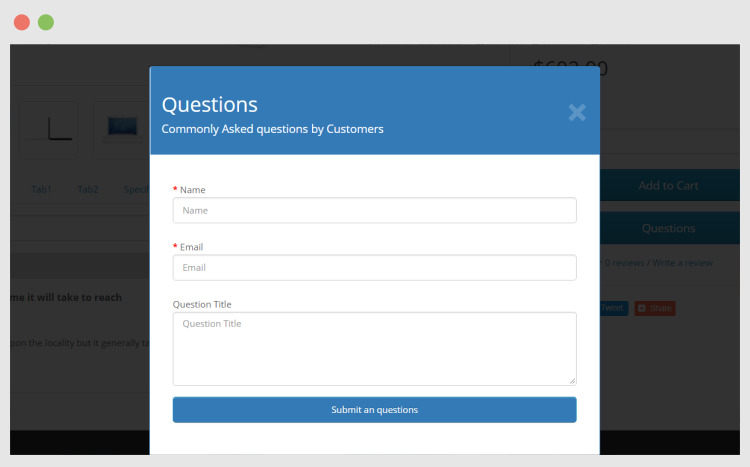 A customer can able to see the previous questions which you approved and can able to create a new question if it's not available in the previous list. The extension made with the OCMOD / VQMOD which means no core file modification.